I have listened to her version of “Old Stepstone” about a dozen times since first hearing about her yesterday, and still, every time, I’m gettin’ these chills. Her voice is rich and powerful molasses, like Mahalia or some divinely mournful gospel singer. It operates on my spinal column each time she starts in with a thousand tingles tapping into some collective grief. She cites the Lomax Field Recordings and James Carr as influences, along with Bill Callahan and Tom Waits; I hear it all. She’ll be touring in support of St. Vincent on some Canadian dates this winter, and her Holland single comes out on 7″ on December 13. I am fascinated to hear what comes next. No offense to the white guys, but whoa is her version ever in a different ballpark. 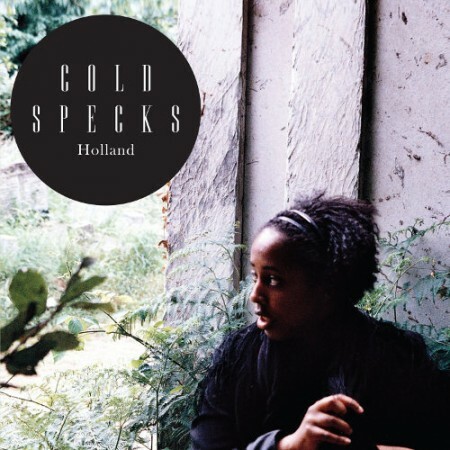 Tagged with canada rocks, cold specks. WOW. I’ve been going through this blog for the last couple hours catching up on the last year, and this just blew my mind out of everything I listened to so far.